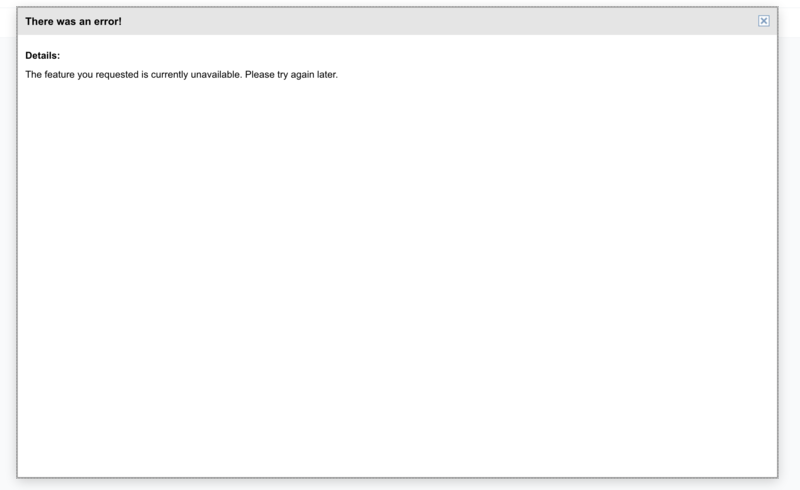 If you've encountered the error "The feature you requested is currently unavailable. Please try again later." 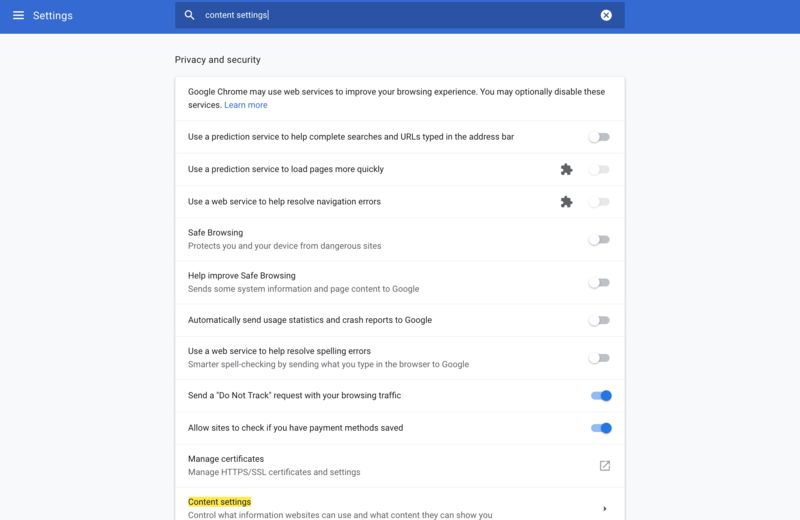 while uploading through Google Drive, your browser may be blocking third party cookies. In Firefox, open your browser settings. 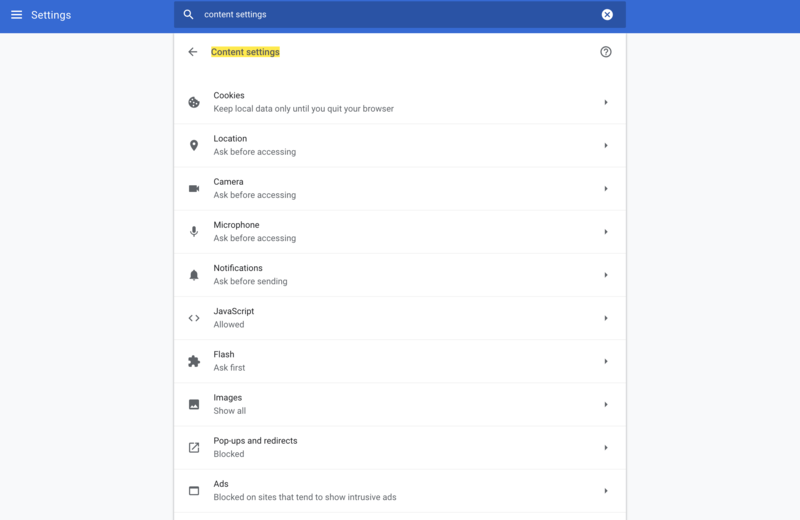 Tip: You can search for "cookies" on the top right to bring up the setting. 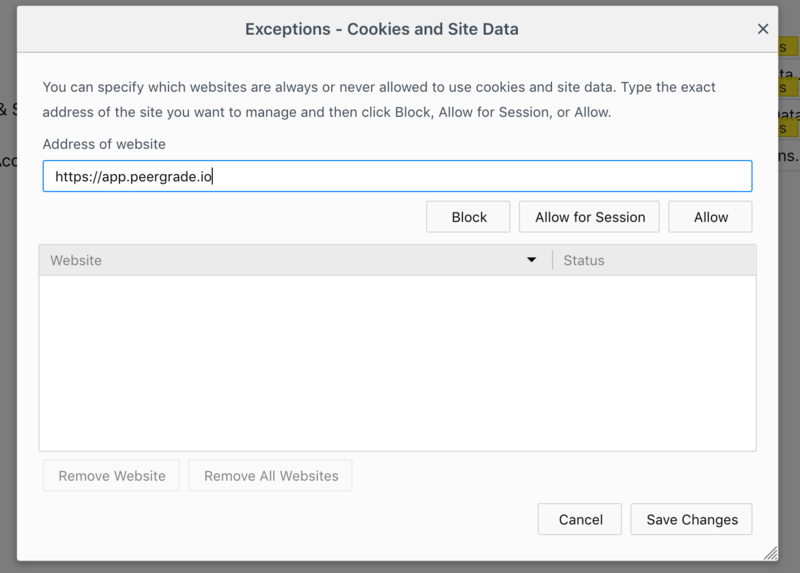 Select "Allow cookies and site data from websites (recommended)"
Search and find "Content settings"
3. 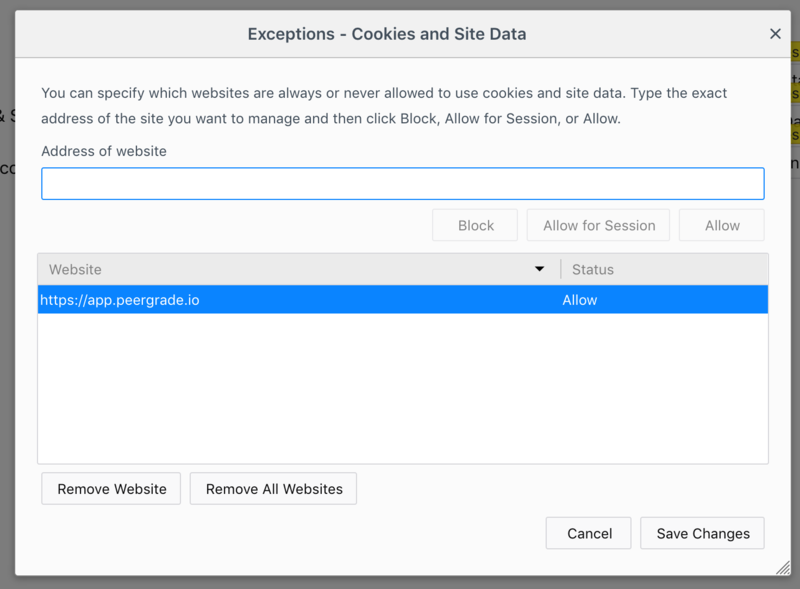 From inside "Content Settings", Go to "Cookies"
It could be helpful to restart the browser after verifying Third Party Cookies are allowed from https://app.peergrade.io.